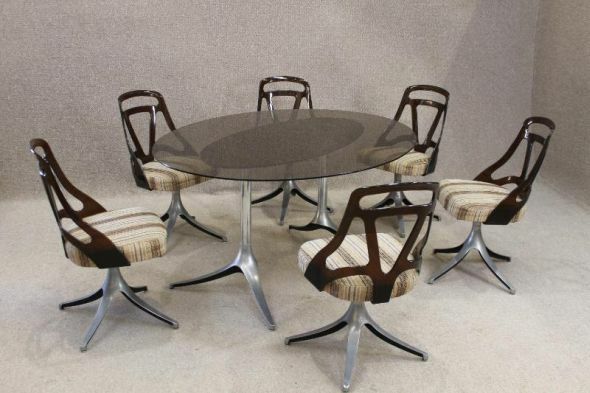 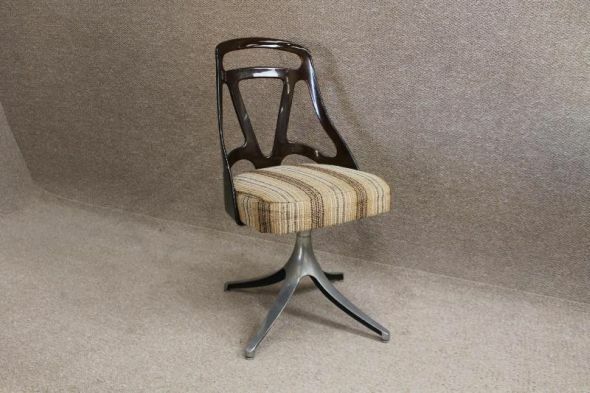 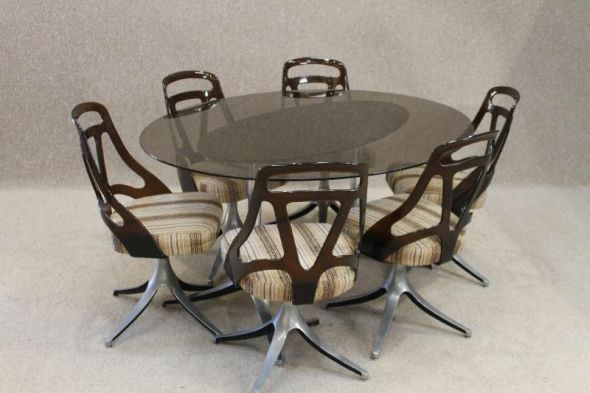 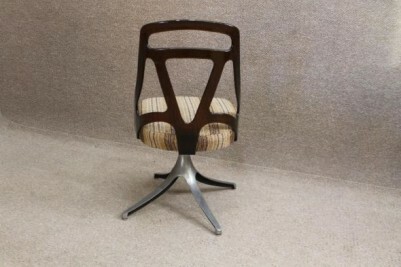 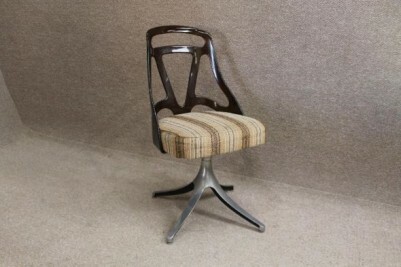 A fantastic and extremely stylish 1972 dining room suite. 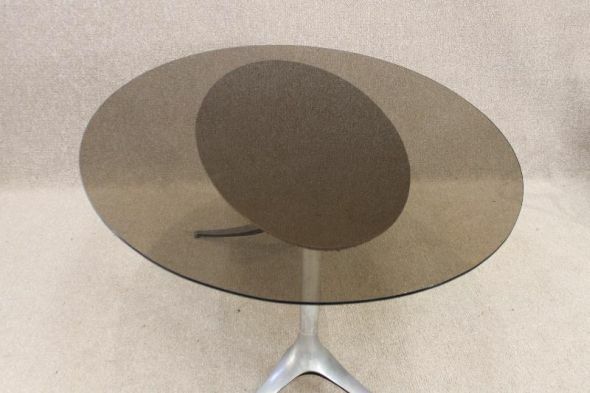 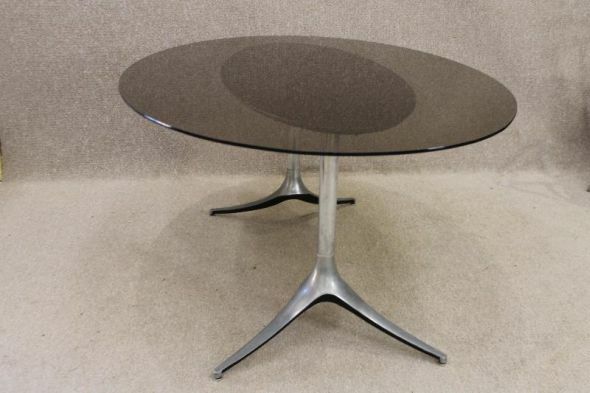 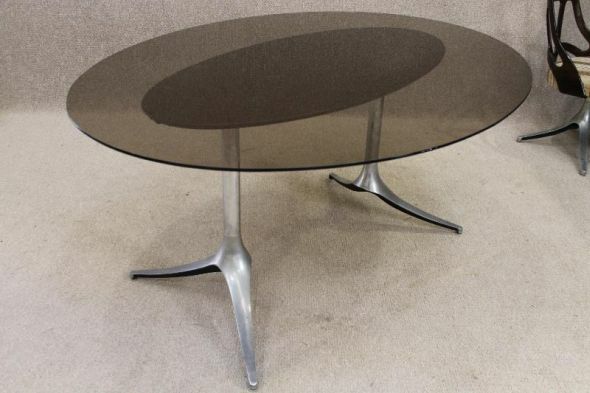 Comprising of a large oval dining room table with smoked glass top, and cast aluminium legs. 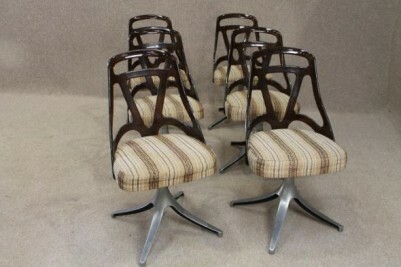 This is accompanied by six matching dining room chairs, still covered in their original fabric. 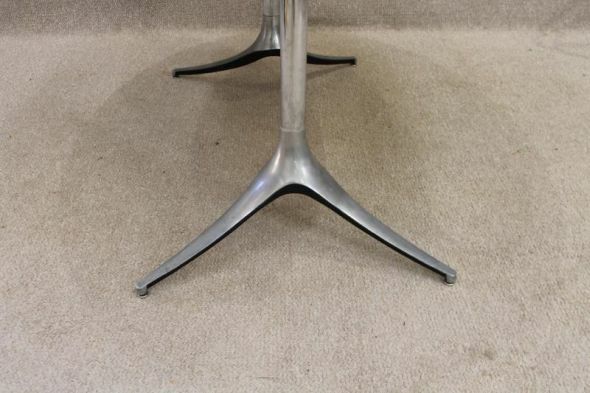 This table and chairs set is in outstanding condition for its age. 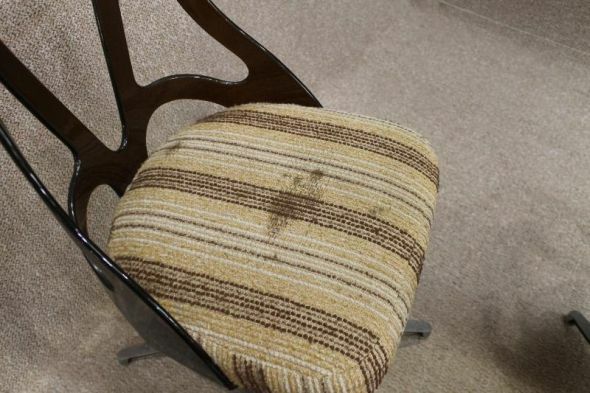 There is a small stain to one of the chairs, but this is just on the covering and can easily be cleaned.